Can anything stop us from chasing the dream of immortality? Probably not. In the American tech sphere, there are already startups dedicated to “harvesting the blood of the young”, and billionaires like Peter Thiel (co-founder of PayPal and erstwhile Trump confidant) are financially invested in eliminating cell destruction. This is the stuff of science-fiction, yet here we are: chasing a fast-approaching future. 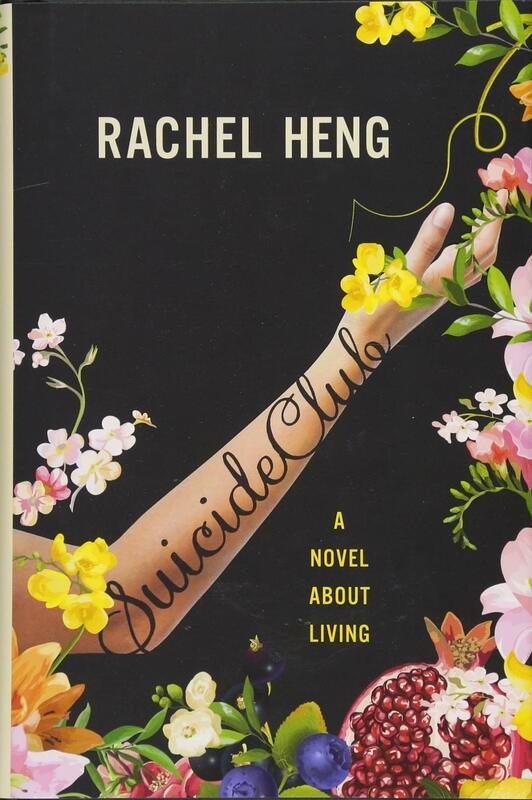 And in Rachel Heng’s surprising, timely debut novel Suicide Club (cleverly subtitled A Novel About Living), that future has arrived. Immortality is not just possible, it’s on the very edge of being reality—at least, for a fortunate few. Lea Kirino is one of these lucky people, and, when we first meet her, she is celebrating her 100th birthday. But Lea is no geriatric: “even naked, she could still pass for no older than fifty.” She is a “lifer,” one of a small percentage of Americans whose genetics are such that, when the tech rolls around, she’ll be eligible for a kind of complete modification: her essential organs will be replaced and supplemented with George Saundersesque things like SmartBlood™ and DiamondSkin™, allowing her to attain functional immortality. Do she or the other lifers have a choice in this modification? Not really, no. The government is, in effect, mandating their immortality. This begs a very important question, one that is at the heart of the novel: what if someone decides they don’t want to live forever? If this sounds like the basis for a bleak satire, that’s because it is, sort of. In these pages, Heng takes our current national obsession with “wellness” and our veneration of the outrageously, offensively wealthy to a series of logical extremes. But she does so without sacrificing the real-world implications of such a societal sea change. Heng has built a fascinating world, a nearish future where America is run by an omnipotent Ministry, non-immortals (called “sub-100s”) live in semi-squalor, and corporations are as likely to trade in organs as they are the stock market. Through oblique references to falling population numbers, a reader is able to piece together that the push for immortality is a push to keep the human race (or, maybe more pointedly, American dominance) around—if we’re not breeding, the insinuation goes, then something must be done to ensure we’re still here in a thousand years. That something, it turns out, is to make permanent the bodies we already have. [Lea] measured her straight black hair against Natalie’s glossy brown curls (Natalie’s was more luscious, more full of life), the burnt umber of her skin against Natalie’s pale, freckled visage (prone to UV damage and melanoma, so here Lea had a clear advantage). Natalie’s face was angular and long, which, together with her large front teeth, gave her an equine aspect. Lea, on the other hand, had never lost her baby fat and her cheeks remained full and plump… As with most lifers around the same age, their bodies were as similar as their faces were different, nearly identical in stature and muscular tone. The apparent competition between these near ageless people is obvious and understandable. These characters’ long lives require daily maintenance, near-perfect wellness regimens, and regular infusions of cell-repairing nanobots, vitamins, and various futuristic life-extenders. So they constantly compare themselves to the other lifers around them, because no one wants to fall behind. Elsewhere, too, the society is function-first in a way that could be viewed as parodic. For example, the music people listen to isn’t music: it’s stuff called “Triangle and Bluebird Calls” or “Rainforest Medley.” Art, the reader learns, generates emotions, and emotions cause hearts to race, adrenaline levels to spike, lifespans to be shortened. What you or I call food is called a “trad meal,” eaten only in the rarest of occasions in lieu of a Ministry-approved Nutripak. But Heng plays this with (mostly) a straight face, to the point where the reader, instead of laughing at the absurdity, begins to squirm uncomfortably at the implied exaggeration of our own decade’s wellness endeavors. The story takes off around a third of the way through after one of the book’s most interesting developments: a flashback to Lea’s childhood nearly 90 years ago. Through a series of spread-out scenes, Heng introduces an element of white-hot rage to Lea, a “pilot light within her, [a] small flame that was always threatening to flare up, [fill] her with heat.” In a world where anger is anathema—it is, after all, “cortisol raising,” which is bad news for longevity—having a predisposition to rage is like having a pre-existing condition. It could take you right out of the immortality line. The tension Heng develops around this is fascinating, and it, along with the fraught relationship Lea forms with Anja, a pro-suicide advocate and activist, propels the second half of the book in breakneck fashion. As the novel progresses, Lea’s white-hot rage becomes a kind of figurative time-bomb, and as revelations pile up, and as the titular Suicide Club comes more into focus, a reader begins to wonder: just what will Lea be driven to do? But Heng does not embrace violence even as she showcases “the violence of what it mean[s] to live forever,” and she is less concerned with the machinations of an all-powerful government than she is with the experiences of a handful of characters. Indeed, Suicide Club is a novel in search of human expression—any expression—in a world where feelings can get you put on a government watch list. Though it traffics in dystopian satire, Suicide Club eschews overtly Orwellian tropes or the bitter humor of something like Gary Shteyngart’s Super Sad True Love Story. Heng takes cues from these speculative futures, as well as others, but what she has written is something multifaceted and unique: a lyrical treatise on memory and family that moonlights as a taut thriller about secret societies and government agents. And even though the story is about death (maybe because it is, in fact) Suicide Club is indeed a novel about living—and all of the human messiness that comes with it.